So, some people know what we’re doing Hermione’s nursery in. Others don’t. I’m going to do a grand reveal when the nursery is done, but I wanted to give you all a little sneak peak into our little one’s room. Oh yes, that’s right. 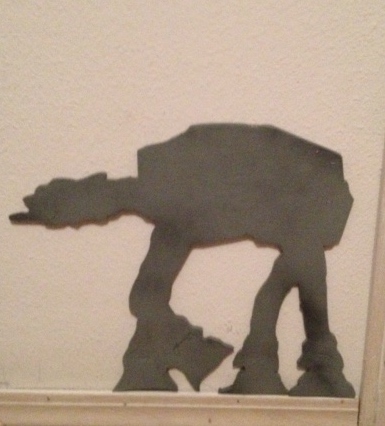 Her nursery will be a Star Wars theme! I cannot wait to show pictures and video from this nursery. My dad has been working hard, creating and assembling one-of-a-kind pieces for our little padawan. He’s done such an amazing job that I know he’ll be getting orders for custom-made Jedi gear in the near future! This entry was posted in Uncategorized and tagged baby, dad, Hermione, nursery, Star Wars by huffmanpost. Bookmark the permalink.